$25 workshops @ the art bar in Santa Ana DEC. 6! Why not take an artful break during your holiday shopping and get a jump start on making a few handmade gifts? I will be teaching three mini workshops. The workshops are meant to build off of each other, but they also can be taken independently. Each workshop is one hour, all supplies included. 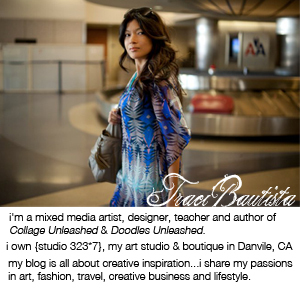 There will be two Collage Pauge goodie bags ($75 value) that I will be raffling off at the end of the workshops. I will also be doing a LIVE mixed media painting at the Art Walk OPEN HOUSE at 6:00pm. Come & play! 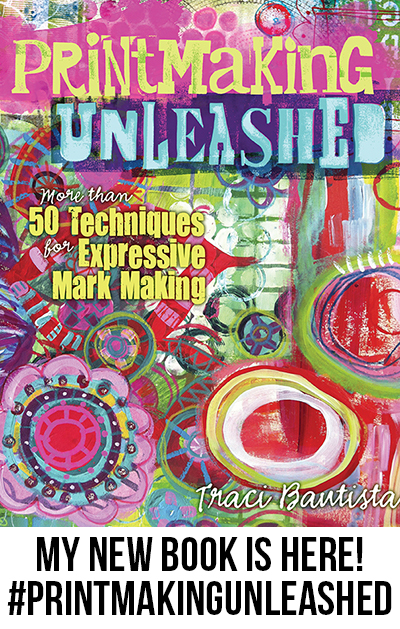 Drizzle…scrape…stencil..stamp...Create painted backgrounds layered with your personal graffiti. Make your mark with scribbles, doodles and scratches to create layers of abstract lines. Create a simple book with collection of random papers. You can also incorporate your art from the previous two workshops. You will learn to make a mini journal that you can later fill with photos, thoughts and words.